2009 Q cover shoot. Q The Music's cover 写真 shoot with U2, 2009. 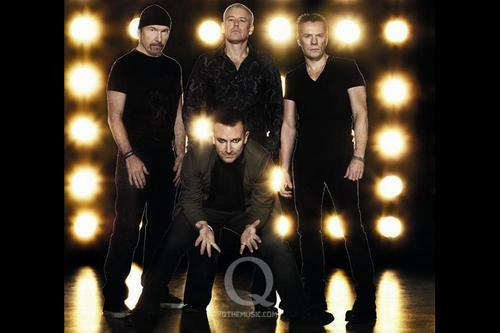 HD Wallpaper and background images in the U2 club tagged: u2 2009 cover photo shoot q the music. This U2 photo contains 通り, 都市現場, 都市環境, ストリート, 都市, 都市設定, and 都市のシーン設定. There might also be ビジネス街, 繁華街, ビジネス地区, ダウンタウン, ダウンタウンのビジネス地区, セラー, and ワインセラー.